K43 – Kirner Schleifmaschinen GmbH & Co. KG. The newly developed dressing machine K 43 C is a compact, manually operated precision machine for the dressing or profiling of diamond and CBN-grinding wheels of different forms and specifications up to a diameter of approx. 350 mm. In construction of these machines, high requirements with regard to dimensional accuracy of disk angles and disk contours, prerequisite for the best grinding results, were taken into account. So on the K 43 C, for example, convex radii with only 50 µm can be continually set into the workpiece disk using SiC-disk. Telecentric precision zoom optics with up to 110-times object reproduction makes everything perfectly visible. Now also with motorized zoom upon request! Newly designed telecentric backlight source ensures a high-resolution reproduction. Comfortable import of disk data in DXF-/DWG-format and overlay incl. machining options using in-house developed KirCam-Mini-CAD visualization software. Compact, fully integrated and network-compatible industrial PC with Windows® operating system and pivoting industrial panel, suitable for rough environmental conditions and for the comfortable parameterizing of the dressing task. Completely new designed oscillating actuator. Using operating hand wheel and buttons the adjustment of the oscillation position and the oscillating stroke is carried out in no time. Flexible machining options for the individual wheels and wheel packs. Double-sided additional swiveling allows dressing of inconveniently configured wheel packs in the same clamping operation. The interaction with newly developed oscillating axis allows a perfect and collision-free positioning of the work piece. Innovative extraction – without optical impairment of the vision field during dressing of grinding disks in the dry mode – allows the operator to keep an overview. All established spindle/flange configurations can be incorporated. Adjustments for special cases are possible. On request a coolant device for “wet dressing”, including splash guard sheet metal, hoses and coolant reservoirs, is available. Alternatively, it can be used for “dry dressing” with a suction device, or also for exclusive wet dressing with emulsion/ grinding oil. 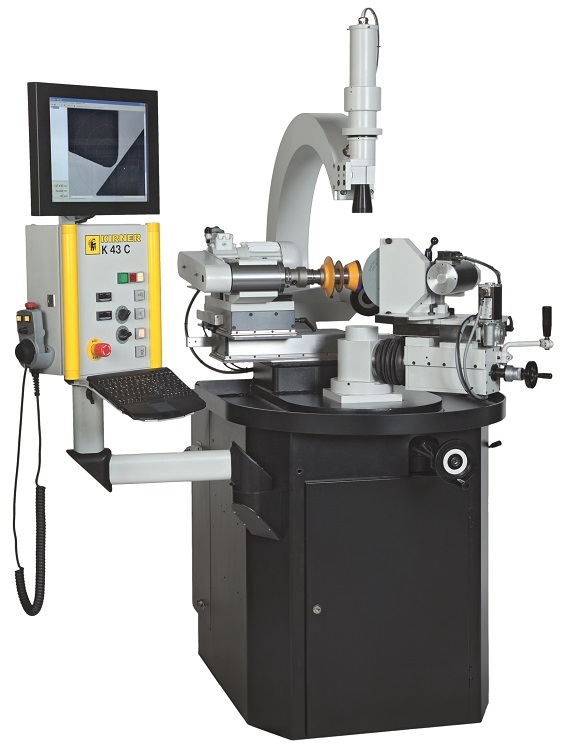 The digital display for the swivel axis (A) – or combined with cross table (X+Y) – facilitates the preadjustment of the machine and further increases the quality of the dressing result. Many further options and special solutions upon request! Maybe your wish has already been realized!